When I lived in the US, I frequently took JetBlue, a US-based air carrier, when they were cheaper than other carriers or when I needed a non-stop flight to a certain destination. This is a great carrier that has grown substantially over the last decade. When back in the US for a visit, I’ve not flown them in likely more than 6 years. 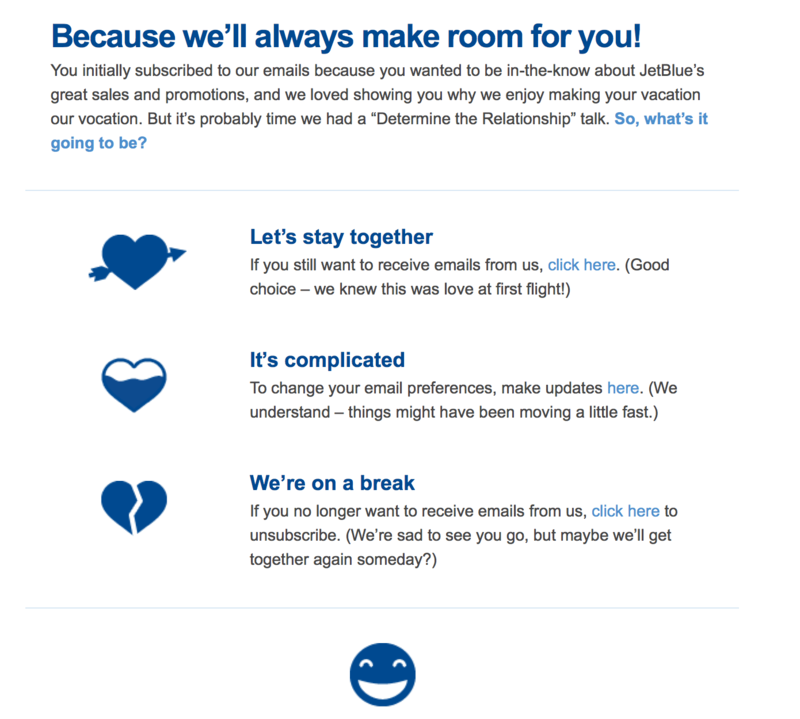 Over the weekend, I received an interesting email communication from the airline asking me to opt in to continuing to receive email communication from the airlines; decide what to receive through a menu of communication preferences or opt out altogether with them (or, “we’re on a break” as JetBlue puts it). An interesting approach to data cleansing and to try to reactivate lapsed travelers. 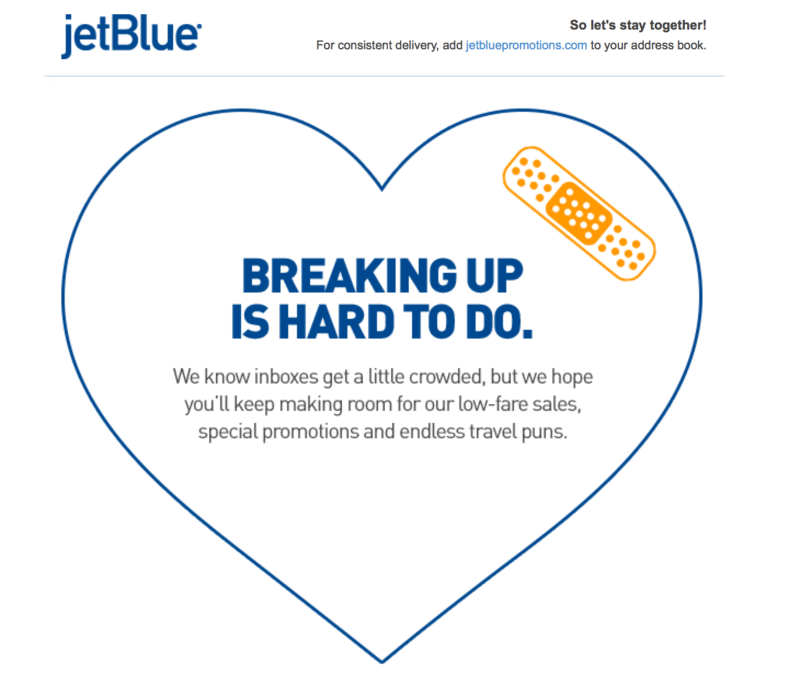 I am guessing it went only to their most lapsed subscribers who JetBlue have no record of having flown in a set number of years. What action did I take? I chose to not respond and I will monitor whether JetBlue continue to send me EDMs in the future. It is certainly what one would consider support-centric. Have you tried this with your subscribers or supporters? If so, what percentage of them chose to re-opt in vs opt out? How many adjusted their communication preferences?